The Whitley Bay hotels listed below are either in the town or we have given a rough guide as to how far they are from Whitley Bay. We hope you enjoy your stay and find your ideal accommodation. 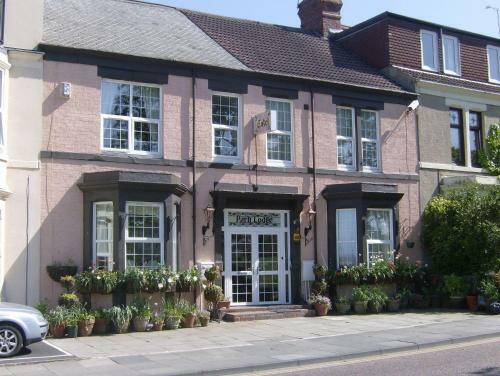 Sunholme Guest House is a family-run property in the Whitley Bay area, 2 minutes away from the seafront and within walking distance of clubs and wine bars. Rooms at Sunholme have a flat-screen TV with Freeview channels and a DVD player. Just 100 metres from Whitley Bay Seafront, Aabba Guest House is a 20-minute drive from Newcastle's lively centre. It offers cooked breakfasts and cosy rooms with free Wi-Fi. 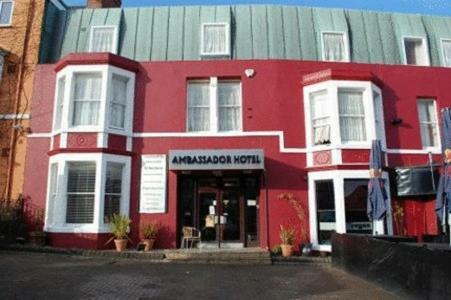 Less than 200 metres from Whitley Bay's beach, The New Ambassador offers rooms with private bathrooms and a 24-hour bar. Whitley Bay's famous nightlife is just 5 minutes' walk away. Overlooking the broad sweep of Whitley Bay's golden sands, this family guest accommodation hotel forms part of an Edwardian terrace. Situated in the heart of this popular seaside resort, this family run hotel is a 2-minute walk from the beach and just metres from restaurants and bars. It offers free Wi-Fi and a lively bar. Just a minute's walk from Whitley Bay's beautiful beach, Sandsides Guest House offers well-furnished rooms with flat-screen TVs and free Wi-Fi. Guests can enjoy hearty, full English breakfasts. 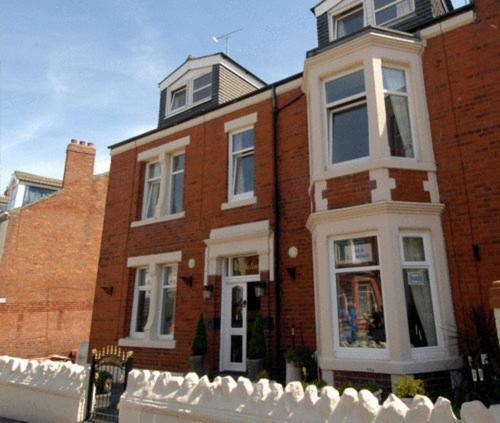 In the heart of Whitley Bay, this friendly, family-run bed and breakfast is close to the seafront, shops, pubs and clubs and the metro station, for easy access to Newcastle's vibrant city centre. This family-run guest house with free Wi-Fi offers bed and breakfast accommodation overlooking Whiteley Bay Park and 400 metres from the sandy beach. York House Hotel has free on-site car parking and en suite rooms with fridges and microwaves. In a central location on South Parade, Newquay Lodge Hotel has en suite rooms featuring free Wi-Fi, TVs and tea/coffee facilities. There is a free private car park. Newquay Lodge has an impressive refurbished bar and lounge area. Family run for over 20 years, Oaktree Lodge has a great reputation for quality and service. Modern guest rooms are non smoking with en suite showers, LCD TV (Freeview) and free Wi-Fi. The largest and most impressive hotel in Whitley Bay, centrally located on South Parade, the Windsor is situated within sight of the sea on the scenic Northumbrian coast. In the heart of Whitley Bay, close to all that this seaside town has to offer, The Venture Inn offers a range of comfortable accommodation at very competitive prices. In the heart of Whitley Bay, this traditional family-run guesthouse offers great value, comfort, good service and free Wi-Fi, alongside a relaxed and friendly atmosphere. Situated on the seafront promenade with stunning sea views, this 3-star hotel is a 20-minute drive from Newcastle. It offers on-site parking, a restaurant, a bar, and free Wi-Fi. In the heart of Whitley Bay, the Seacrest Hotel offers family-run bed and breakfast accommodation a 2-minute walk from the beach. It has a fully licensed restaurant and well-stocked bar. In the heart of Whitley Bay, a 2-minute walk from Whitley Bay's sea front, this hotel offers free Wi-Fi in the rooms and free parking. Whitley Bay Hotel. Beautifully situated overlooking the broad sweep of Whitley Bay's golden sands, this family run hotel provides the ideal base for visitors to the region. Whitley Bay hotel. Located in the centre of Whitley Bay and just 8 miles from Newcastle Upon Tyne. We offer quality Bed and Breakfast accommodation in the centre of Whitley Bay at a reasonable price. Flat Screen LCD TV's, Multi Channel Sky Sports ( 1,2 & 3), DVD players, FREE Wifi internet connection, Complimentary Beverage tray..
For hotels accommodation in other areas near to Whitley Bay Tyne & Wear see Newcastle upon Tyne hotels & South Shields hotels.